This may be all you ever wanted for Christmas. 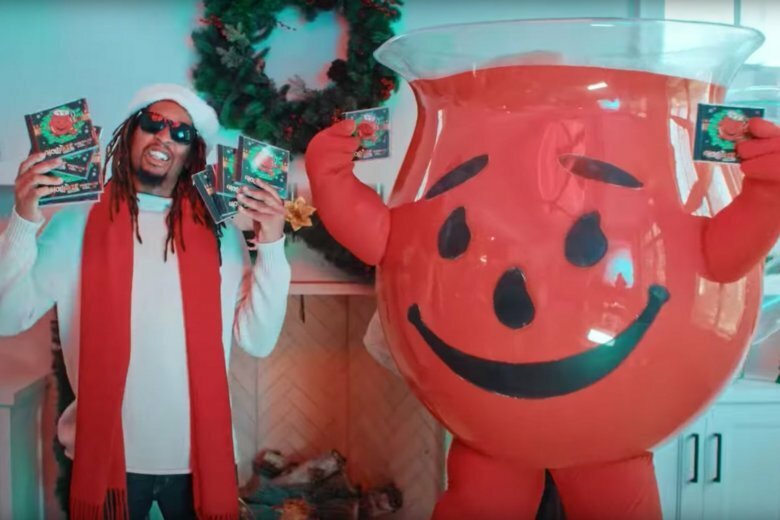 Lil Jon dropped his first ever holiday song, "All I Really Want for Christmas" with none other than the Kool-Aid Man himself. Lil Jon dropped his first ever holiday song, “All I Really Want for Christmas” with none other than the Kool-Aid Man himself. Fans are clearly drinking it right up because the music video on YouTube has already amassed over 100,000 views. Lil Jon rose to fame as a rapper and a DJ in the early 2000s and is best known for hits like “Get Low,” “Snap Yo Fingers” and “Turn Down For What.” He won a Grammy in 2005 for best rap collaboration for the hit song “Yeah!” by Usher and featuring Ludacris.